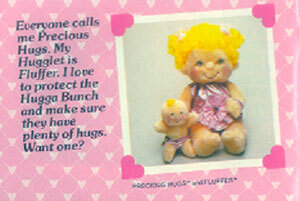 "Promise to hug at least once a day... With each hug you get, give two away!" 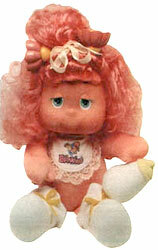 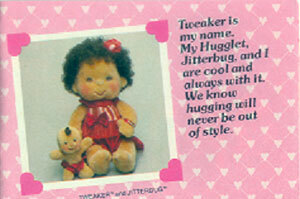 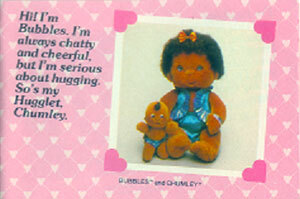 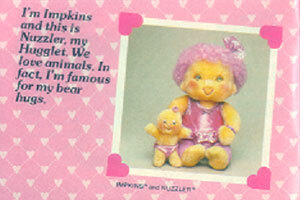 Hugga Bunch was produced by Hallmark and Kenner, and originally started as characters on greeting cards. 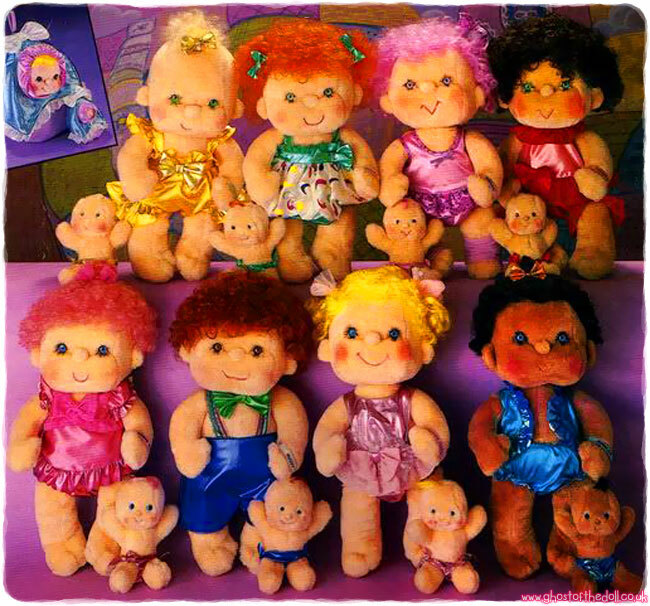 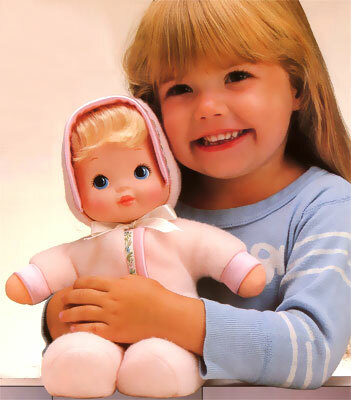 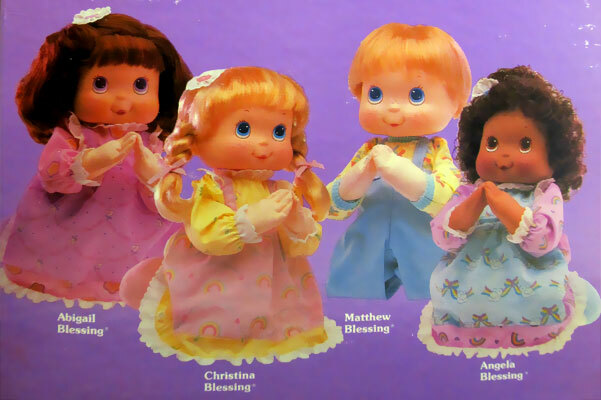 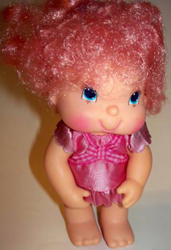 Eventually they rose to be a big hit in the early to mid 1980's and soon Hugga Bunch came in the form of books, dolls, clothes, toys, lunchboxes, and even a movie! 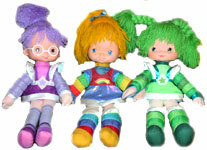 View all Hugga Bunch on eBay.com or eBay.co.uk ! 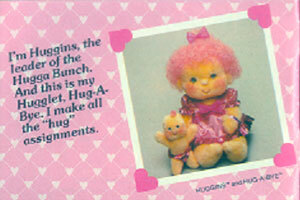 "The Hugga Bunch is a group with a very special mission in life: to hug and be hugged! 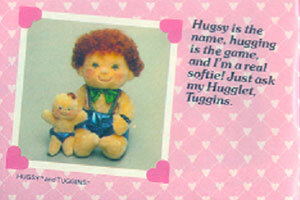 They come from a magical place called Huggaland that's filled with fun and is overflowing with heart-warming hugs. 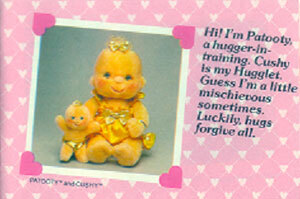 This happy little group's creed is: "Promise to hug at least once a day... With each hug you get, give two away!"" 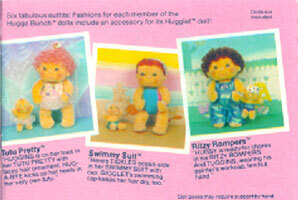 There were eight plush Hugga Bunch characters. 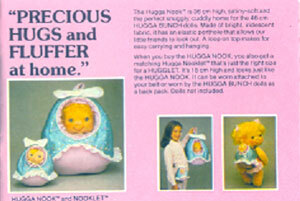 Each one came with a smaller plush baby called a Hugglet. 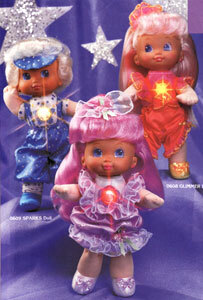 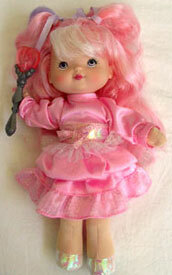 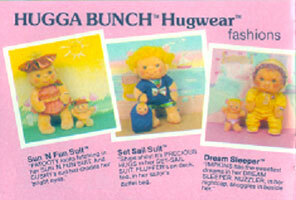 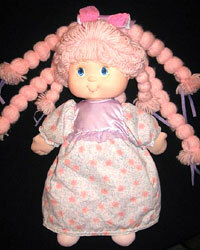 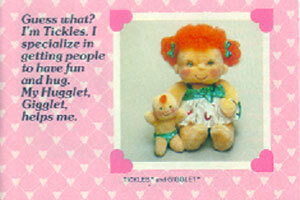 There were a few accessories made for the Hugga Bunch plush dolls and their Hugglets. 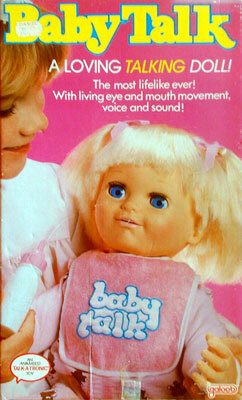 "Features specials turn 'n learn dial." 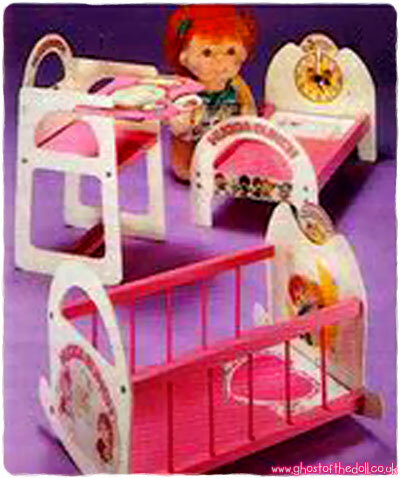 High chair has swing-out tray with built-in dial that lets children turn pictures of their favourite foods. 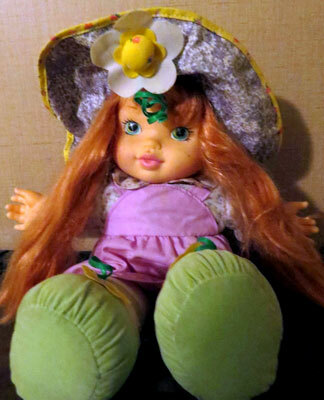 Bed had headboard with dial that turns to different times of day. 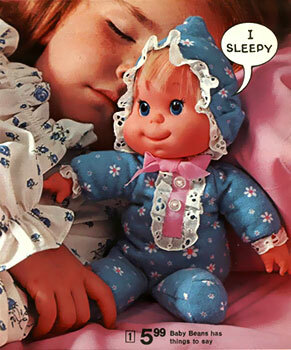 Cradle has dial in headboard which illustrates thoughts for children.